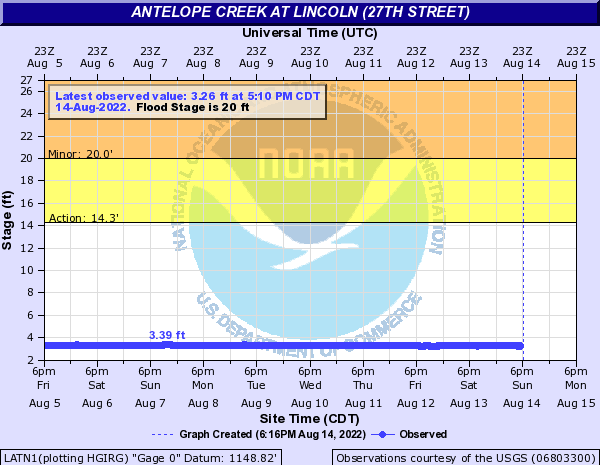 USGS Current Conditions for USGS 06803300 Antelope Creek at 27th Street at Lincoln, Nebr. USGS 06803300 Antelope Creek at 27th Street at Lincoln, Nebr. Downstream view from USGS gaging station: Antelope Creek at 27th Street at Lincoln, Nebr.